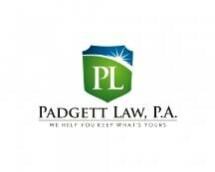 Padgett Law, P.A. creates long-term relationships with clients in business and the construction industry. We work with clients to prevent litigation when possible, and to prevail in litigation when necessary by doing what has to be done quickly and efficiently. AV Rated by Martindale Hubbell since 1992. Avvo Rating Excellent. Avvo Clients Choice 2015.